Introduction, 1. An Introduction to Reality and Imagination, 2. The Modem Vindication of the Existence of the Creator, 3. God: The Ontological Argument and the Argument from Design, 4. God, Mind, and Body: Part 1, 5.God, Mind, and Body: Part 2, 6. The Spanish Intermezzo, 7. Spinoza: The Aftermath of the Spanish Intermezzo, 8. The Very Few Jewish Idealists after Spinoza, 9. The Legacy of Spinoza, 10. 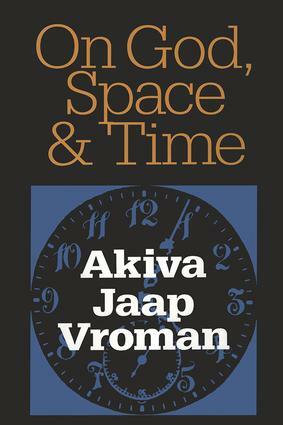 The Development of the Concept of Space-Time, 11. Immanuel Kant and His Spiritual Inheritance, 12. Johann Gottlieb Fichte, Arthur Schopenhauer, and Max Wentscher, 13. Charles Darwin and the Ensuing "-ism", 14. An Introduction to Ignorance, 15. Religious Eschatology, Part 1: The Jewish Messiah, 16. Religious Eschatology, Part 2: The Christian Messiah, 17. Religious Eschatology, Part 3: Apocalyptic Revelation in Psychological Science, 18. Religious Eschatology, Part 4: The Fate of the World in the, 19. God and Moral Virtue, 20. The Modem World against God, 21. The Question of Life and Death: The Medical Approach, 22. Bridging the Chasm between God and Mankind in Judaism, 23. On the Future of Humanism and Divine Justice in Judaism, 24. Worship and Service in Prospect.